Another one of my weird sleeping positions. Sometimes after playing I just get tuckered out! 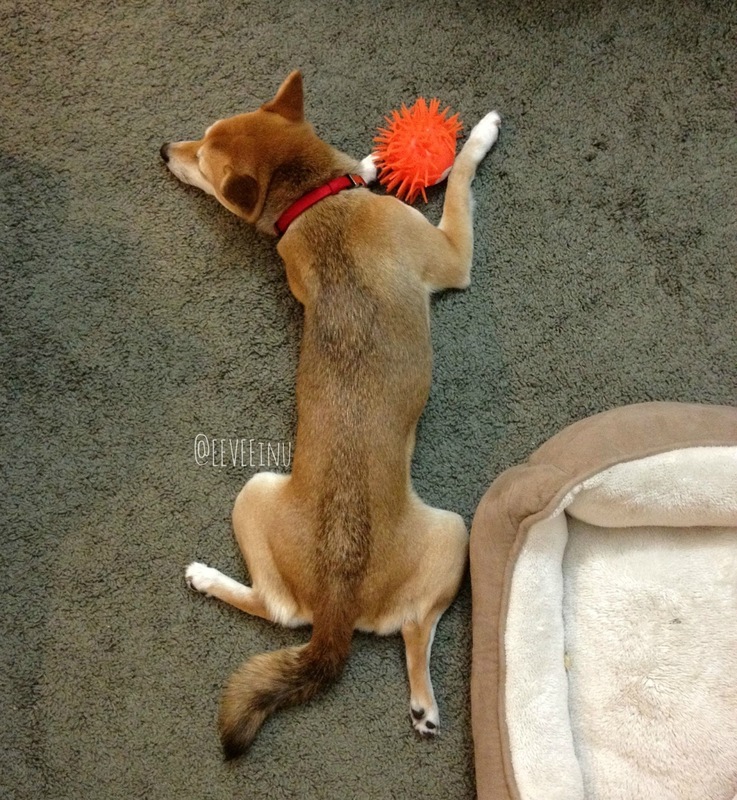 EEVEE is a Shiba Inu living in Los Angeles, CA. Born June 2011. She is the pup of YouTuber/Blogger hollyannaeree and Steve Terada. She weighs just under 14lbs. which is small for her breed. Her parents were both petite at 15lbs. and she was also the runt of her litter. She has a YouTube Channel, Instagram, Twitter, Facebook, Tumblr. and of course this blog where there are new pictures posted daily. My Couch + NEW VIDEO! A place to rest your head. A Foxy Friend. Does this look like me? Day 1 - It begins. Beauty/Fashion Blogger/YouTuber. Born in Korea, adopted, and living in the US since 3 months old. Grew up in Connecticut and relocated to California 2 years ago. The Face That Started it ALL! #tbt Throwback Thursday!